Once the dough has been shaped, place in a lightly greased loaf pan and cover. 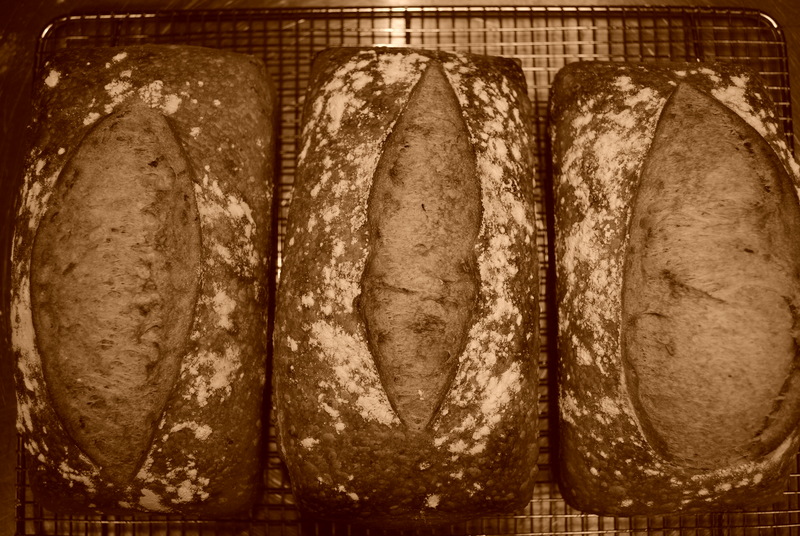 The Country Sourdough recipe will yield two loaves. You can bake the loaves in about two hours or retard them overnight. Follow the directions for the Bake. You will not be able to cover these loaves, but you will need to get some steam into the oven. The best way to do this is to cover a kitchen towel with water in a baking pan, and put this in the oven while it is pre-heating. Keep the pan in the oven for the first 20 minutes of the bake and then remove. Continue to bake for another 15 minutes, turning once to brown evenly. Once the bread is baked, remove them from the loaf pans and cool on a cooling rack. Lightly toast the sesame seeds in a dry skillet over medium heat until light brown. Let cool slightly. Add the sesame, hemp, and chia seeds at the beginning of the Mix and continue on through the Bake. Tasty enough on its own, but it gets along well with goat cheese, smoked salmon, or anything green. Enjoy! 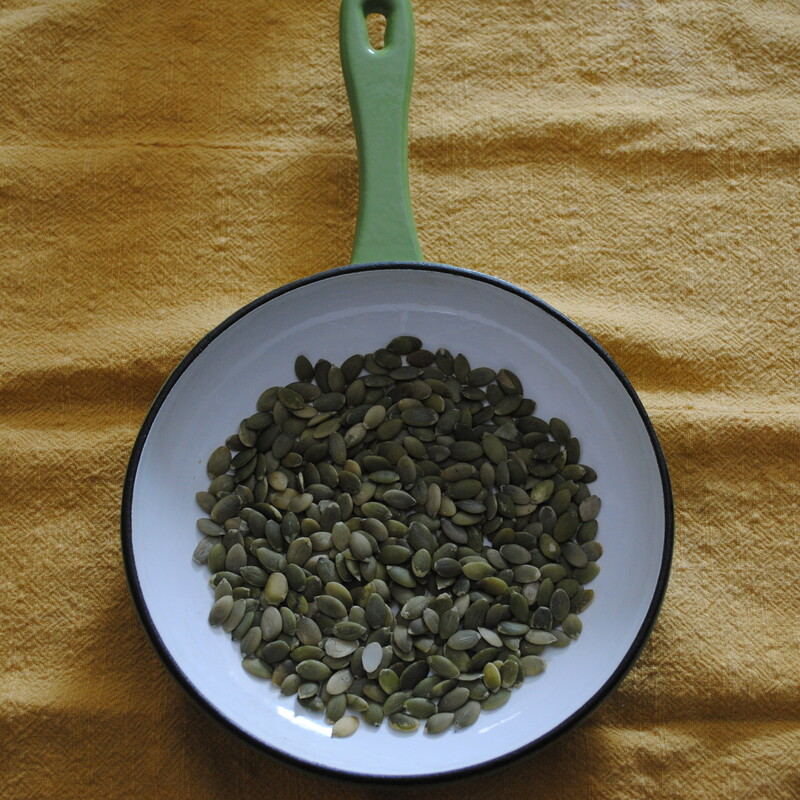 Toast the pumpkin seeds in a dry skillet over medium heat until they release their aroma and turn light brown. Let cool slightly. Add the cornmeal, pumpkin seeds, and rosemary at the beginning of the Mix. The cornmeal will absorb some of the water, so splash in some extra if needed. Finish the steps through the Bake. 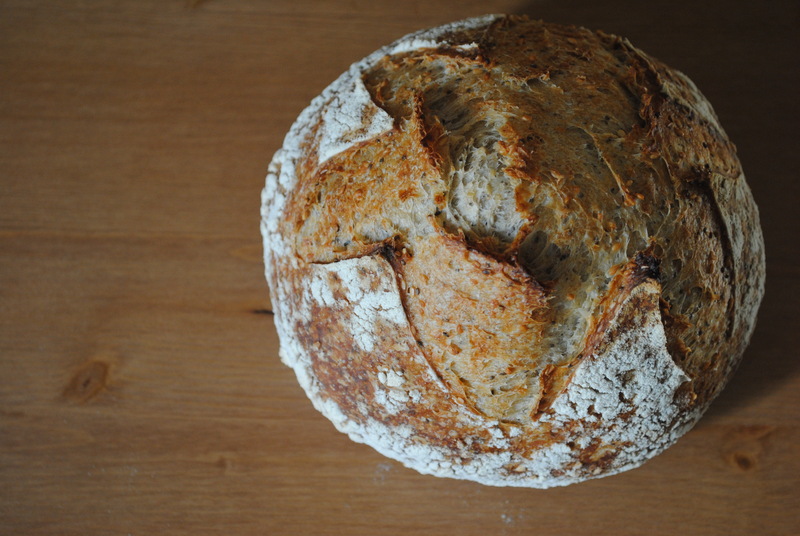 This bread is very good with whipped feta cheese and roasted red peppers. It also makes superb croutons for a Fall salad.